The past four weeks at jasonkallen.com, we’ve celebrated the 500th anniversary of the Protestant Reformation, with emphasis on sola Scriptura. In previous weeks, we have established sola Scriptura biblically and contextualized it historically. Now, in this final installment, we’ll apply it pastorally. Here are ten words of application derived from the doctrine of sola Scriptura for you, your ministry, and your church. First, any true belief in sola Scriptura necessitates a pulpit ministry that preaches the Word. Why we preach, when we preach, and how we preach, all reveal what we believe about the Word of God. If we confess to believe the book but do not preach it, we are merely giving lip service to sola Scriptura. But if we believe that this is God’s true Word, God’s authoritative Word, and God’s sufficient Word, then we must be intentional about bringing it to bear on the lives of our people. Second, sola Scriptura shapes our soul care, or how we shepherd hearts of God’s people. At the end of the day, we want to bring the Word of God to bear with grace, prayerfully applying it to our people’s lives. This is not just something that will happen, though, we must be intentional about it. It is also not just done from the pulpit, but from across the coffee table, in small group settings, and in the study where people come for counsel. We must bring the Word to bear. Third, sola Scriptura should prompt us to strive for unity in the church. Luther can be faulted for being naïve, as he assumed that a return to Scripture and throwing away the shackles of popes and councils would bring its own new wave of unity and fervor. It certainly brought fervor, but it did not quite bring unity. To be frank, today, there is too much fragmentation in the Church of the Lord Jesus Christ. I am not suggesting that we water down anything, but I am suggesting that as we preach and stand on sola Scriptura we must be intentional to strive for unity. Fourth, sola Scriptura calls for faithful hermeneutics or faithful interpretation. Interpretation matters. If you are going to say that we are committed to the Bible and that it is true, then how we interpret it makes a big difference. Be diligent and devoted to the study of God’s Word. Learn to use the tools you need to rightly interpret God’s Word. This book is not an open sesame for us to read into it what we want. Rather, it is God’s Word that requires us to faithfully and humbly interpret it. Fifth, sola Scriptura brings with it a necessary commitment to confessional statements. Why? Because it quickly turns into a slippery slope when people say, “We just believe the Bible and we have no creed but the Bible.” My denomination articulates what we believe in the Baptist Faith and Message 2000. We also confess our beliefs from the Danvers Statement and the Chicago Statement on Biblical Inerrancy. We are a confessional people, and we do not let sola Scriptura sleepwalk us into nonsensical statements like, “We confess no creed but that Bible.” To confess that is to confess no creed at all. Sixth, as Baptists, sola Scriptura means we must have a strong commitment to regenerate church membership. We do not have a pope; we do not want one. We do not have councils either. We have the local church and the Word of God. The local church gathering is where God’s people come together and humbly seek God’s will for the church under the leadership of its pastors. God’s Word is the determining factor. If we are not careful, we will let unbelievers fill our church roles and before you know it, all we will have going for us is a vote that we hope we win. But if we have a book that is true and a regenerate church membership, we can have a unified, on mission local church. Seventh, a commitment to sola Scriptura is a commitment to Christ-centered theology. 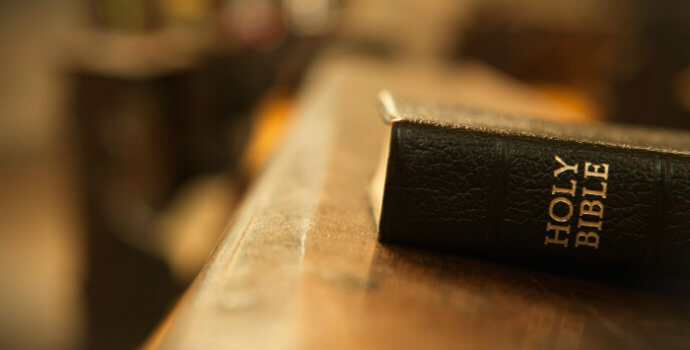 As we look to the Scriptures we look to Jesus, and any firm grasp of sola Scriptura leads to the necessity of a deeper commitment to the preaching of Christ. We are called to bring the Savior to bear; to proclaim the Lord Jesus Christ so that sinners will hear and believe; that repentance will take place in the hearts of people; that boys and girls, men and women would be saved; that the great commission would be proclaimed. Eighth, as you reflect on the historical context of sola Scriptura, it will lead to a ministry that is marked by gravity and perspective. Imagine Luther before the world’s authorities, eking out the words, “Here I stand.” Imagine Luther, in 1517, strolling toward the door of the Chapel Church and nailing these theses on the door, knowing what will likely happen. Imagine Luther at Leipzig during that lunch break, reminding himself of the Council of Constance and realizing, “I believe this, I believe this, I believe this.” He knew the consequences when he walked back out and said, “I am a Hussian.” This reflection ought to invest our ministries with a sense of gratitude that there were many previous believers who paid the ultimate price for the faith we received – their life. Ninth, sola Scriptura shapes our worship. We are to preach the Scriptures, read the Scriptures, pray the Scriptures, and sing the Scriptures. The doctrine of sola Scriptura affects everything, especially how we think about and structure our weekly gathering for worship. Tenth, sola Scriptura encourages us to be willing to put the “protest” back into Protestantism. What are the great challenges of our generation? What is God calling you to stand for? You may not know the answer today; you may stumble into it eight years from now in your local church gathering. You find yourself pressed into your own little crucible when you decline to marry a leading church member’s daughter because she is living in sin. You might stumble into your own crucible when you are willing to stand on the Word of God and speak to issues of sexuality and gender. The societal pull is to remain quiet. With every generation, our task is to take the baton of faith, the truth that we have received, and to be faithful to pass it on to the next. When we look back on 1517, and then reflect today, in 2017, where are we? Where do we stand 500 years later? I was contemplating that question recently, and my mind went to an anecdote that occurred when Richard Nixon, the president in 1972, went to China and famously opened relations with them. Nixon’s overture shocked the world. It is reported that while meeting with the Chinese Premier, Nixon raised the topic of the French Revolution, which occurred nearly 200 years previous. Nixon asked the Chinese Premier, Zhou Enlai, what he thought the results of the French Revolution were. Enlai reportedly said, “It is too soon to tell.” That conversation became a paradigm for the different ways the eastern and western minds viewed the world. The eastern mind tends to take the long view. So, regarding the Reformation, where do we stand 500 years later? In a very real sense, it is too soon to tell. The Reformation is still playing out. We are the church reformed and always reforming. We are called to come again, and again, and again to the Scriptures and to call our churches to come again, and again, and again to Scriptures as well.